Business services – It includes outsourcing of human resources, relationship management of customers, legal services, management of supply chain, accounting and financial services and technical services. It caters to capital markets, banking, healthcare, insurance, media, telecom, entertainment, publishing, transportation and manufacturing and logistics industries. Services related to Custom application – This incudes application of consulting, development, maintenance, support, integration, migration and modernization. It reaches to life sciences, publishing, insurance, banking, and retail and media sectors. R & D Services and Engineering – This portfolio comprises of engineering of hardware products, mechanical engineering, software development and engineering of software products. It reaches to automotive, defense, industrial manufacturing, telecom and networking, consumer electronics and storage and server sectors. Services related to Enterprise Application – It includes application support and maintenance, resource planning, management of enterprise asset, business intelligence and management of human capital. HCL caters to defense, aerospace, packaged goods, banking services, insurance, healthcare, and transportation and utilities industries. Services related to Enterprise transformation – The service portfolio under this category includes technology transformation, business transformation, business intelligence and data warehousing, SOA and middleware and IT governance. Management Services related to IT Infrastructure–It includes end-user computing, cloud computing, transformation of data center, network transformation, management of integrated operations, information security and system integration. It reaches out to entertainment, publishing, telecom, media, healthcare, consumer electronics, financial services, manufacturing and insurances sectors. HCL has an international presence while serving at least thirty-five countries of the world. It has a network of offices in Brazil, Sweden, Denmark, Belgium, Singapore, China, India, Australia, Malaysia, Netherlands and Germany. Through improvements in logistics and infrastructure, HCL has been making great inroads in its manufacturing and distribution policies. In India, the company has made investments in the SSO (Support Service Organization), PSO (Professional Services Organization) and in the manufacturing plants located at Pondicherry and Noida. HCL with the help of both SSO and PSO has been able to provide complete solutions and has raised the manufacturing volumes as per the international standards. This has strengthened the company’s capabilities in backing the installation types that ranges from large to single orders for multi-locations. The SSO has a direct eight hundred members support force and it operates in one hundred and fifty locations at various parts of the country making it one of the largest forces in IT industry. 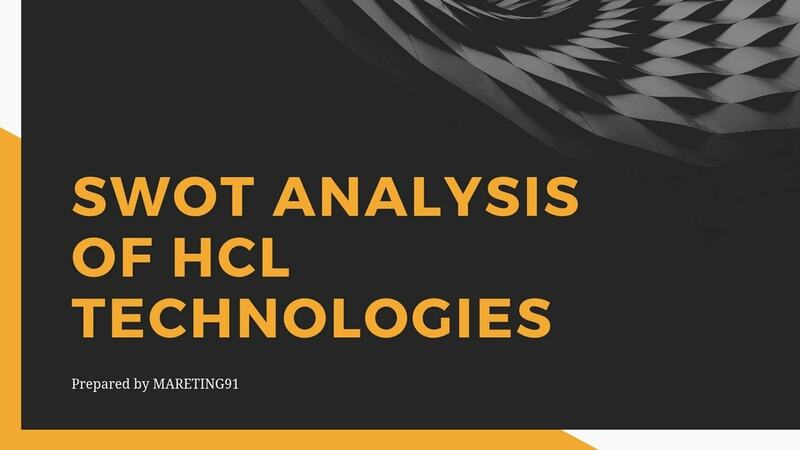 One of the other important members of the HCL strategy is its frontline division that is responsiblefor the marketing of computer systems in the country. HCL has a far-reaching network division that comprises of at least three hundred cities and eight hundred resellers that are working towards the promotion and penetration of PCs in the various segments like home, offices, schools etc. HCL has even started a “Call center consulting” unit for helping the prospective clients who wants to gather information. HCL has a management information structure in place that gathers the product prices of its competitors and then after careful analyzing makes its own pricing policies that are somewhat parallel to the competitors prices. The main objective of HCL is to provide services rather than running after the revenues hence, the company has kept a reasonable pricing policy for most of its products and services. It is happy to gain minimum profit margins in order to get a competitive advantage over its adversaries. HCL is a firm believer in spreading its network in every nook and corner and generating more volumes. The company realizes more the volume revenues will come automatically, therefore it has kept pricing policies consumer friendly to garner wealth maximization instead of profit maximization.It has been launching new products in the market that are low-priced and seem affordable to the consumers. The brand has not compromised with the quality of its products but has tried for cost cutting and hence has been able to meet the price demands of the consumers. Its competitive pricing policies because of the price sensitive nature of the consumers have helped the company to make new inroads in the markets. HCL gives prime importance to its advertisement and promotional strategies. The company’s favorite form of advertisement is using the television media and internet, although the brand also is in magazines and newspapers. The brand has started a multi-media campaign to create awareness amongst the consumers about the various products and services it provides. HCL has appointed the Indian actor “Nargis Fakhri” as its brand ambassador to promote the products and the brand name. In an unprecedented move, HCL entered in to a partnership with Intel and Microsoft with the purpose of revolutionizing the “Indian Digital Entertainment” concept. The brand also entered in a partnership with APPLE for providing services and sales support for the IPODS in the country. Under the company’s sales promotion policies, HCL provides special offers to corporate houses, institutions and end-users. It has also started various policies under which some of the HCL product could be purchased through EMI. It has joined the “Go Green” movement. Under this HCL has developed a GreenEdge framework that will cater to the needs and wants of manufacturing industry.